This insulated food jar keeps contents cold for 7 hours and hot for 6 hours, making it ideal for school lunches. 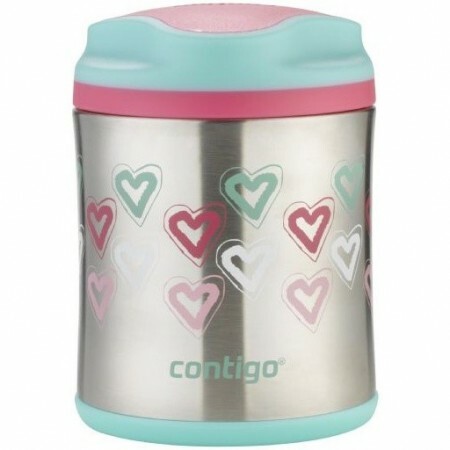 Leak proof, BPA free and dishwasher safe. Hearts design. 300ml. Buying this product = 41 Reward points for Members. Your cart will total 41 points = voucher of $2.05. Not a Member? Join at checkout to claim these points. Vacuum insulated stainless steel keeps food hot for 6 hours or cold for 7 hours. 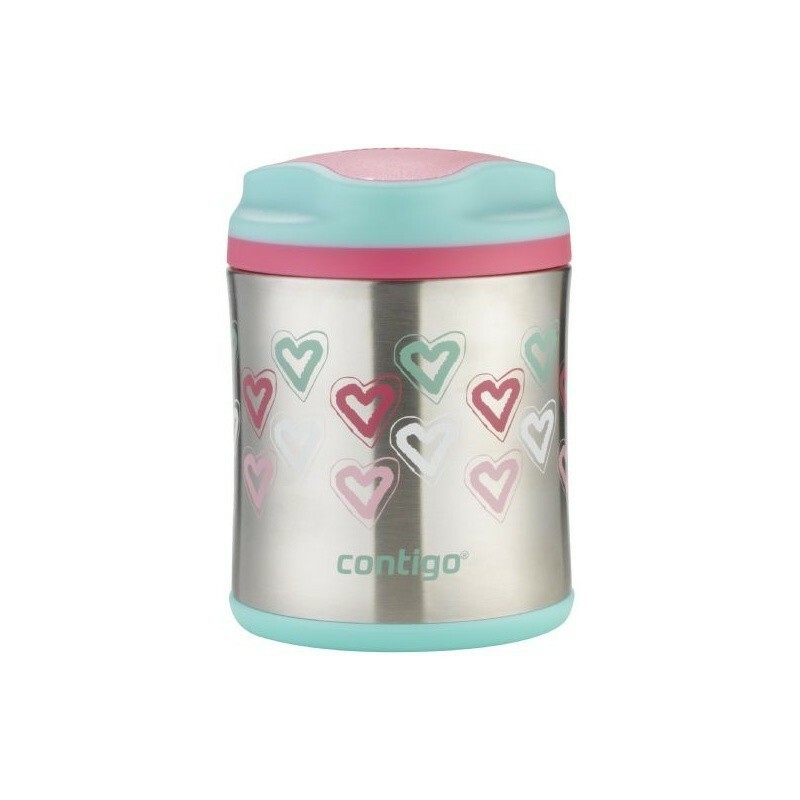 12cm height x 8.5cm width / stainless steel, BPA free plastic lid.